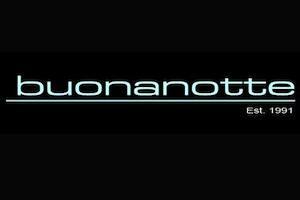 Buonanotte needs no introduction. Its world-renowned reputation gathers a hefty caliber of scene-stealers and food lovers from around the city and the world to its tables on a daily basis. A destination unto itself here in Montreal, Buonanotte has owned its prime space on the Main for the past 22 years because they know how to please their patrons with delicious food, an electric atmosphere and good service. When Fred Avertick, Buonanotte’s PR mastermind decided to put together an intimate group for an exclusive preview tasting of their new winter menu, we jumped at the chance to see what their offerings would bring. What we saw and tasted was nothing short of astounding. The tasting event itself was pretty low key. There were fewer than 10 people from across Montreal’s media spectrum seated for a peek at a varied selection of what the restaurant will be serving during the coming months. We started with a dish of their delicious fried calamari, some perfectly seasoned porchetta, two selections of their incredible pizzas (including ingredients such as imported tomatoes, truffle cream, porcini and so much more) that I could have continued eating all night and a perfectly balanced calebrese salad. The next items we tried from the new menu were a selection of their pastas. We were served a spaghetti with organic tomatoes and fresh basil which was simple yet flavorful. We were also served a mushroom tagliatelle with sundried tomatoes, mushrooms and truffled bufala that exploded with flavor. I’m not normally one for ordering pasta in a restaurant but I’d order this again, a lot of it! We all know that there’s no such thing as saying “I’m full” to an Italian and when they rolled out their filet mingon I told myself there’d be room for it somewhere. They shaved off pieces of the perfectly cooked meat and served it with warm seasoned polenta fries. The night was a real treat and the company was as delicious as the food. Catching up with old friends (like the guys from Man About Montreal) while striking up fabulous conversation with some cool new folks over a lovely dinner is what keeps us all out on the town. It was a great way to get reacquainted with Buonanotte. The preview did the trick for us and the rest of the menu looks pretty amazing as well. You can check it out for yourself here.